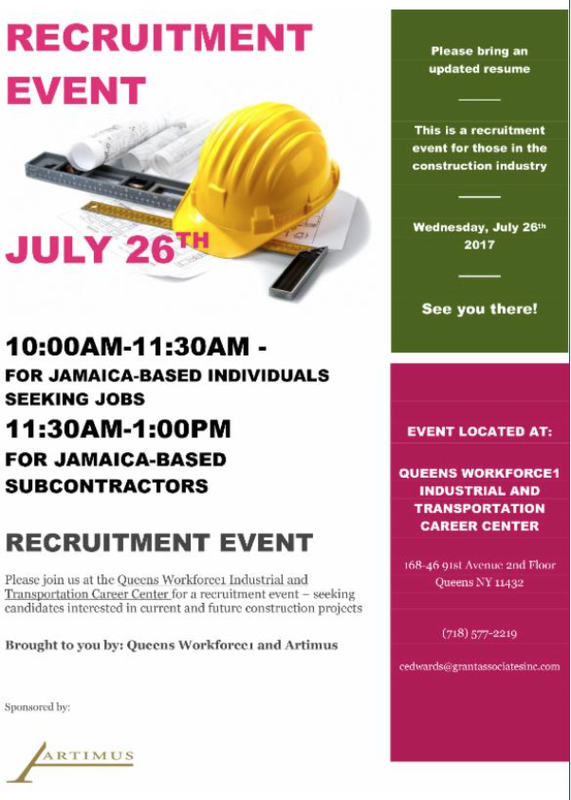 Artimus and the Queens Workforce1 invite one and all to a construction/contractor recruitment event. Please bring an updated resume to this recruitment event for those in the construction industry. Labels: Construction/Contractor Recruitment Event.Artimus and the Queens Workforce1 invite one and all to a construction/contractor recruitment event.